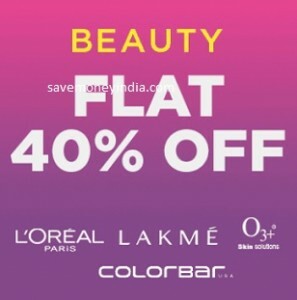 Jabong is offering 40% off or more on Beauty Products. You can enjoy free shipping on your first order or on all orders above Rs. 999.